Ruth Graham tried to question adults reading YA at Salon.com earlier this year, but her piece fell into genre shaming – making readers feel bad for picking up a YA book as they might have once been for reading science fiction or romance. (Graham states: “Adults should feel embarrassed about reading literature written for children.”). I don’t have a lot of time for people who demean YA literature as simplistic or unsophisticated, unworthy of serious attention. And yet…I’m fascinated, and bemused, by this vogue among adult readers for a genre defined by its position as adulthood’s other. Louie’s Twitter correspondents expressed boredom with an adult literature obsessed with middle class neuroses, contrasted with the hope and opportunity represented by adolescence. YA then got compared to superheroes, sci-fi, and fantasy, those other great genres of freedom and possibility. All this chimed with the things that have been troubling me about “adult” and “YA” literature. Is adolescence the ideal condition for members of a Western consumer society? We fantasise it as a state of pure potential: desire, hope, and possibility supercharged on the cusp of realisation. Wasn’t it postwar boomers with disposable income and limited responsibilities who invented the teenager and fuelled the late 20th century’s subcultures? Do you pull on the thread marked adolescence and unravel consumer society? I was minded of Kurt Vonnegut’s line about realising the people who run the Pentagon were just folk from your year at high school. That really we know no better with age; we are all, in some way, still “adolescing”. Real adolescence can look quite different to the media fantasy. Working with rural youth on my last Australian stint, I realised that one of the few true benefits to getting older is being able to tell unhappy teens it’s all right if life is not like it looks on TV. As an adult, you’ve seen enough life to know that many adolescences are on the mundane-to-crap side, and that it can still work out okay by the time adulthood comes around. When it comes to empowering adolescents, it’s almost irrelevant what we adults choose to do with YA literature. The exciting thing is encouraging teens to make their own stories, their own art, and their own critical responses to the wider culture – a big part of the work I do with libraries and other institutions. But today I’m curious about adult readers who venture into YA territory. Like I said, I don’t buy YA genre shaming. YA can deliver subtle and sophisticated exploration of our complex lives. But as I push on into my thirties, I also see how adulthood does differ from adolescence. It might be quantitative rather than qualitative: beyond the legal questions of rights and responsibility, is adulthood just the condition of having an extended personal history? An individual accumulation of life-stuff, for better or worse? This year I’ve often turned for comfort to the most “grown-up” writer I know. That’s the late short-story author Mavis Gallant, an unsentimental portraitist of domestic life, beloved of the New Yorker. Many of her stories concern themselves with the tangles you can only get into after you’ve been around the block a few times. She offers perspectives shaped by adult retrospection: maps to the seasons of divorce and bereavement, of parenthood, and life’s inevitable failures. At my age, despite my love of genre, of robots and spaceships and time travel and magic, I find I need Gallant’s words as a guide, too. She offers measured stories of experience and regret, prosaic in the best sense of the word. (They’re so unflinching in their honesty, it’s hard to read more than a couple in succession). Yet even Gallant doesn’t neglect adolescence. Her fiction first appeared in the New Yorker when she was just shy of thirty years old, a reporter for Canadian newspaper. […] half girl, half woman, a creature at once precocious and vulnerable. She is neither a child […] nor an adult […] On the morning of her seventeenth birthday, Madeleine dreams of receiving a dollhouse, but her stepmother sends an unsuitable evening gown instead. Madeleine’s story is followed by “Thieves and Rascals”, in which a meek teen runs away from her boarding-school for a weekend with a young man. Her actions reveal truths about her mother, an utterly self-controlled model who hides a secret sadness, and her philandering father, who tries to tell his wife that “not all men” are untrustworthy. […] teem with characters unwilling to fully adjust, unable to take such things as family and homeland for granted. Instead there are makeshift families, adopted languages, improvised ways. But being foreign is not just a matter of crossing borders. The sense of being adrift, the absence of terra firma, is existential – perhaps not in the manner of Beckett or Camus, but with an impact that is nevertheless profound. Isn’t this also the condition of adolescence? 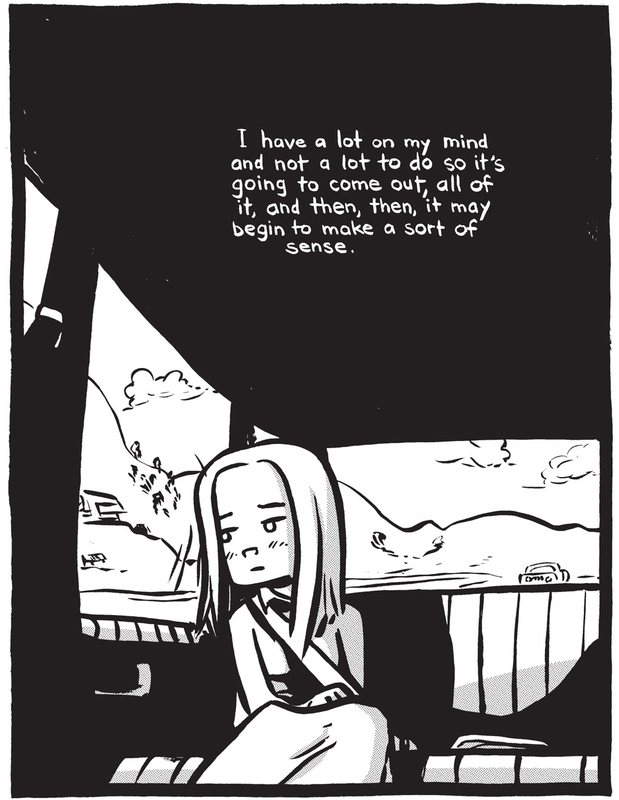 Lahiri could easily be writing about Bryan Lee O’Malley’s end-of-high-school comic Lost At Sea as much as Gallant. Away from the tropes of genre, among the mundane worlds of the middle-class short story, we find Gallant articulating those same fears, hopes, and uncertainties which give life to YA. Where can we sit relative to that literary border, arbitrary as any in geography, between adulthood and adolescence? I don’t claim a clear or consistent view on such vast territory. As Louie Stowell pointed out over coffee this week, one of the joys of posing her YA question on Twitter was the freedom not to have a definitive answer. (Pull on the thread marked adolescence…watch it all unravel…and then walk away from the pile of wool!). And yet, stumbling through the borderlands, I think I want to reach out for something. I think I can glimpse a common sensibility, however raggedy and liminal. I guess the writing that comes closest to what I’m feeling right now, this crisis of age categories, is Nelly Reifler’s Elect H. Mouse State Judge. The book follows a mouse who is running for office in a town populated by children’s toys. When his daughters are abducted by Sunshine Family dolls who are religious cultists, the less-than-lilywhite H. Mouse employs Ken and Barbie, a sleazy but loving couple who work as private detectives, to recover his children. What is the essential nature of our childhood toys? We make them. We give them to our children. They are us, whether we acknowledge this truth or not. The book uses playthings shows how difficult questions about our essential nature are to tackle in reality. People do bad things. Some crimes do not have a remedy and our experiences often get in the way of recovery. Finding a balance is hard. Even kids know this. More so than we like to think. Reifler’s book might not feel cosy, but there’s something satisfyingly indigestible about the way it challenges us. I feel something similar in the hypertrophic madness of Tom Scioli’s art. 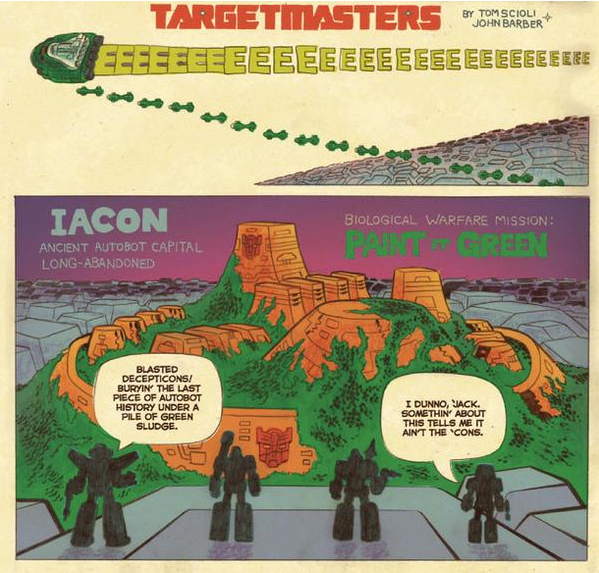 Scioli co-writes and draws the official Transformers vs. GI Joe comic, but his style is zany and intense. It is sophisticated, yet also childish. It defamiliarises these big brand names until they could almost transcend plastic toys and Saturday morning cartoons. (Scioli’s review of Transformers: Age of Extinction ends, “Instead of a run-and-gun action movie, why not a documentary-style exploration of a world where robot cars and humans live in peaceful productive harmony?”. Like all his quirky, inspirational writing for Comics Alliance, it has to be read to be believed.) Scioli’s like a kid so passionate about his toys he takes their stories too far for the bland, palatable world of corporate comics. 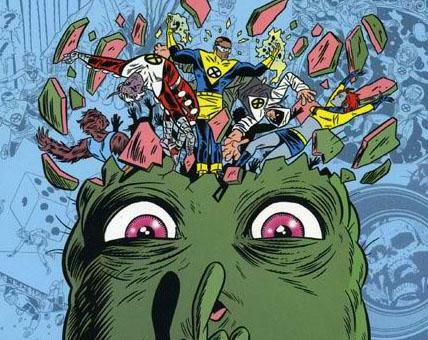 His work reminds me of the X-Statix comic, which in its art and writing pushed Marvel’s heroes to the limits of satire and absurdity more than ten years ago. 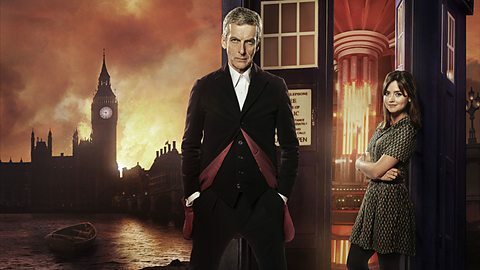 I also feel optimistic about the new series of Doctor Who which starts this Saturday night, UK time. Doctor Who is still, at heart, a children’s show – or more accurately, a family show. In recent years it has often made a point of telling stories about adolescence and coming of age, through characters like Rose, Amy, and Rory. BUFFY: I’m cookie dough. I’m not done baking. I’m not finished becoming whoever the hell it is I’m going to turn out to be. The thousand-year-old Time Lord and the Valley Girl speak the same words. It’s not just a good case for having a female Doctor – he’s ventriloquising Buffy anyway! – it’s a comment on how the process of change and maturity doesn’t end at age eighteen, or even age one thousand. Now we have an older actor, Peter Capaldi, as the BBC’s time-travelling hero: an all-new figure who is both a grey-haired avatar of undeniable adulthood and, well, a male ingenue. 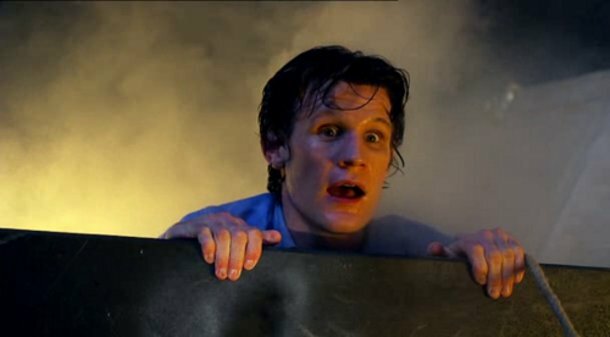 (His predecessor, Matt Smith, played the character as an old man in a gangling young body). Capaldi himself is at once a seasoned performer and a big kid living his boyhood dream. Scioli’s Transformers. Nelly Reifler’s film noir toys. The Doctor. These characters both conform to and challenge the inescapable pull of our culture’s narratives about life before adulthood. They are old-young and young-old. 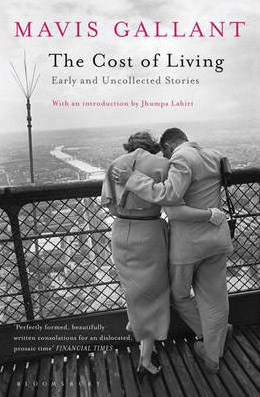 Like Mavis Gallant’s characters, they are “unwilling to fully adjust, unable to take such things as family and homeland for granted”. For those of us who feel that we are still in a process of change despite all our years and memories, such stories are vital. They help us understand an adulthood which admits to its history and responsibilities, but is not done cooking yet.